There are two principal war memorials in St Peter's Church, Edensor commemorating those who died in the first and second world wars as well as a number of memorials to individuals. Captain Herbert Graham Barber MC came from a Sheffield family where his father was the Master Cutler in 1909/10.He was a Territorial soldier with the York and Lancaster Regiment [Hallamshire] and enlisted in the 4th Battalion at the start of the War. His Battalion was involved in the Battle of the Somme where he had been awarded the Military Cross for bravery in the field. He was killed on 7th July 1916 during a German attack on the allied trenches. He was 31. Buried Authuile Military Cemetery G.3. aged 27. Commemorated at Thiepval Memorial 10B/11B/12B. Lance Corporal Harry Brumby lived in Edensor as a boy. His father was a coachman. Enlisted in 6th Battalion Sherwood Foresters. Injured in the trenches on the front line at Gorre in May 1918.Died a week later aged 24. Sergeant Frank George Chamberlain worked on the Chatsworth Estate as a woodman. On the outbreak of war he enlisted in 1st Battalion Queens Own Cameron Highlanders. He died of his wounds after heavy German shell fire on the trenches at Eacourt on the Somme. He was 25. Buried Warlencourt British Cemetery. Bapaume.V11.H.48. Acting Corporal Sidney Chandler Employed as a gardener at Chatsworth prior to enlisting in the Northumberland Fusiliers. His Battalion was part of the force attacking Sulva Bay on the Gallipoli Peninsular. He was killed in action on 19th August 1915 whilst attacking Turkish emplacements. Killed aged 22. Commemorated on the Helles Memorial. Gallipoli. Panel 33-35. Private Edward Thomas Edwards worked on the Chatsworth Estate as a woodman. He enlisted in the Sherwood Foresters but was transferred to the Lincolnshire Regiment which was heavily engaged in the Battle of the Somme. He was injured in trench fighting near the village of Gueudecourt. He was transferred to a base hospital near Rouen where he died on 29 September aged 24. Buried St Sever Cemetery. Rouen. France. B.15.36. Private John Fearnley lived in Pilsley and worked on the Chatsworth Estate in the gardens and laundry. In August1916 he enlisted in-the Army Service Corps which had been created as a non-uniform support service by Sir Joseph Paxton and others. He later transferred to Sherwood Foresters and then to is" Battalion Royal Scots. He was killed on 9th April near the village of Monchy by machine gun fire. Commemorated on the Arras Memorial Bays 1 and 2. Private-Edgar-Fletcher was born at Edensor to parents who worked on the Estate. With his wife Mary he emigrated to Canada before the war. In August 1915 aged 39 he enlisted in the Canadian Army in the Machine Gun Corp. In 1918 he was wounded and returned to Canada for treatment. He died of his injuries in September 1919. Buried Toronto [Prospect] Cemetery_G.W.V.A 337. Lance Corporal John Forbes worked on the Duke of Devonshire's estate at Lismore in Ireland before moving to Chatsworth to work as a forester. Soon after the war was declared he enlisted in the 9th Battalion Sherwood Foresters. He was killed in fierce fighting in Hessian Trench on the Somme on 26th September 1916 aged 23. Private William Francis Heathcote grew up in Edensor and Baslow. His parents ran the Institute at Edensor. In 1917 he enlisted in the Army Service Corp and then transferred to 1st Battalion Hertfordshires. He was killed in heavy fighting, probably by shell fire, at Clery sur Somme on 23 March aged 19. 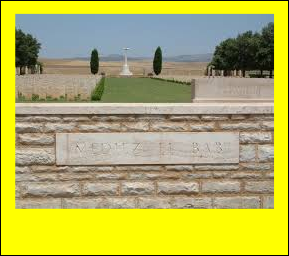 Commemorated Pozieres Memorial Panels 28 and 29. Private Edward Haynes Born in Beeley and worked on the Chatsworth Estate as a domain labourer and as odd job man for the Land Agent and Vicar. On the outbreak of war he enlisted in the 10th Battalion Sherwood Foresters. He was killed in fierce fighting near the village of Langemark in Flanders on 12th October 1917 aged 24. Commemorated on Tyne Cot Memorial. 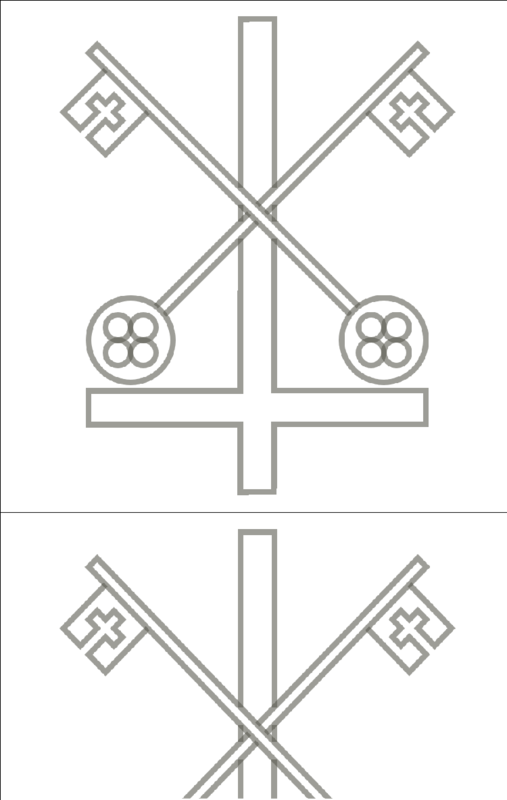 Panel 99-102 and 162-162A. Private Frank Hemming was born in Worcester and was a coach wheeler by trade. He worked on the Chatsworth Estate. He enlisted in the 9th Battalion Sherwood Foresters. Killed in action at Sulva Bay Gallipoli on 9th August 1915 aged 27. Commemorated Helles Memorial. Gallipoli. Buried Warlencourt British Cemetery .France V11.H.48. Private William Henry Howard lived in Calton Lees and worked as a sanitary engineer. Enlisted in Sherwood Foresters in 1915. Died at home having been wounded in Flanders. Buried St Peter's Edensor. Private William Thomas Lovell worked as Foreman gardener at Chatsworth. Enlisted in 6th Battalion Sherwood Foresters. Seriously wounded in fighting near Riaumont, Pas de Calais. Evacuated to hospital at St Orner where he died on 20th May aged 36. Buried Longuenesse [St Omer] Souvenir Cemetery 1V.C3. Ypres on 30th October 1914 aged 40. Lance Corporal George Charles Radford was a Chatsworth estate worker before enlisting in the 1st Battalion Grenadier Guards. He was killed on 10th September aged 22 in fierce fighting at Ginchy. 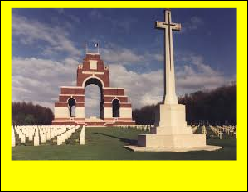 Commemorated Thiepval Memorial. 8D. Private George Edward Siddall MM. Born in Baslow he worked in various capacities at the House and the Cavendish Institute which became the Royal Naval Convalescent Hospital. He enlisted in the 10th Battalion of the Sherwood Foresters. As a stretcher bearer he risked his life rescuing a comrade under heavy shell and machine gun fire and was awarded the Military Medal. He was killed by a snipers bullet near the village of Neuvilly is" October 1918 aged 40. Commemorated on the Vis-en-Artois Memorial. Panel 7. Sergeant Gordon Bowering was brought up in Pilsley and worked on the Estate as a forester. His father Allan Bcwering had.heen killed In the first world war. He was called up in 1941 and eventually joined the 142 Squadron of the Royal Air Force and trained as a wireless operator and air gunner. He would have flown in Wellington bombers. He was killed in a bombing raid over Turin in November 1944 aged 24. 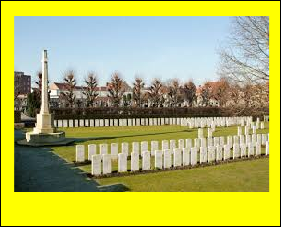 Buried Florence War Cemetery Plot V Row J Collective grave 7-9.
killed near Oued Zarga on 29th November aged 30. Commemorated Medjez-el-Bab Memorial Tunisia Face 25. Trooper William Stone was born in Baslow but moved to the Hunting Tower on the Chatsworth estate where his father was a game keeper. On leaving school William trained as a carpenter for the Chatsworth Estate. He enlisted in the so'' Royal Tank Regiment ,Royal Armoured Corp in 1940.By July 1942 the regiment was fighting in North Africa at the first battle of EI Alamein. William Stone was captured by the Germans after his tank had been destroyed. He was taken to an Italian prisoner of war camp in Benghazi. He was killed on 26th August 1942 when an Italian ship carrying prisoners of war was torpedoed and sunk in the Ionian Sea. He was 34. Buried Phaleron War Cemetery, Athens 7D.1-10. For a fuller version of the stories behind the memorials ana some pictures see Chatsworth Villages at Peace and War. Keith Taylor. Country Books. Little Longstone, Bakewell, Derbyshire.